View this content on China.org.cn. China unveiled a major guideline on Tuesday to promote wider use of methanol-fueled vehicles after five years of trials, moving the world’s largest vehicle market a step forward in commercializing the new energy vehicle. Industry insiders said the move is part of China’s broader efforts to relieve environmental pollution and reduce its dependency on imported petroleum as methanol, a clean fuel that can be made from abundant coal resources in China, is widely seen as an ideal alternative energy. “With the coming of the top-level decision, methanol vehicles are able to hit the road finally after five-year of tests and trials. 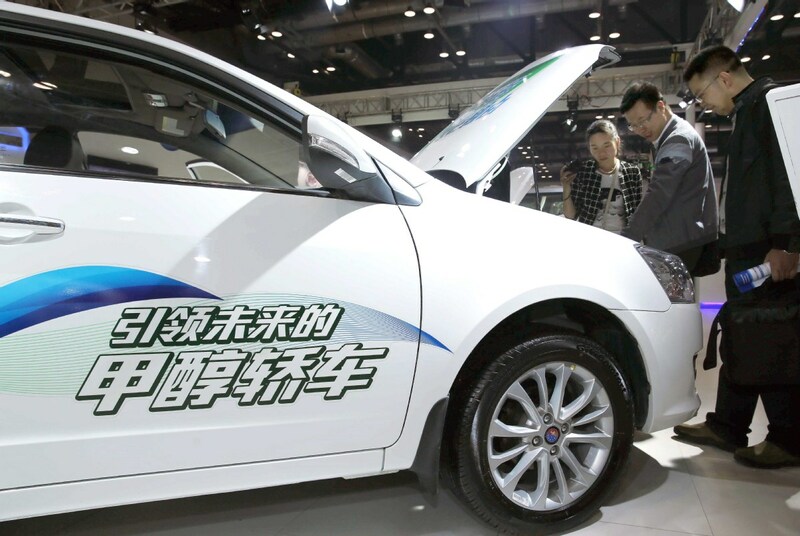 It will help methanol vehicles to develop in a sustainable and scientific manner,” said Jia Xinguang, executive director of the China Automobile Dealers Association. From 2012 to 2017, the ministry has held trials of methanol vehicles in 10 cities across the country. In Southwest China’s Guizhou province, for instance, more than 5,000 methanol-fueled taxis and 13 methanol filling stations have been put into trial operation. “In addition, the guideline is of significance to diversify the country’s fuel sources to reduce China’s dependency on importing petroleum as China has a huge demand for energy and is the world’s second-largest energy consuming country,” Jia noted. He pointed out that around 70 percent of the country’s petroleum is imported from overseas, which exceeds the global warning line of 50 percent. Gregory Doran, CEO of The Methanol Institute, pointed out that leading Chinese players have already mastered key technologies in developing and producing methanol vehicles and China can be a “teacher” globally in promoting methanol vehicles. A case in point is that Zhejiang Geely Holding Group has been striving to independently develop methanol vehicles for more than 10 years. As the first automaker in China to engage in M100 methanol research, it has invested a total of $45.5 million in Iceland’s Carbon Recycling International Inc, which is known as the world leader in methanol technology. “Currently in China, a large group of people and companies still lack objective perception toward methanol vehicles. More efforts still need to be done to not only put them into use, but also be popularized,” said Li Shufu, chairman of Geely.